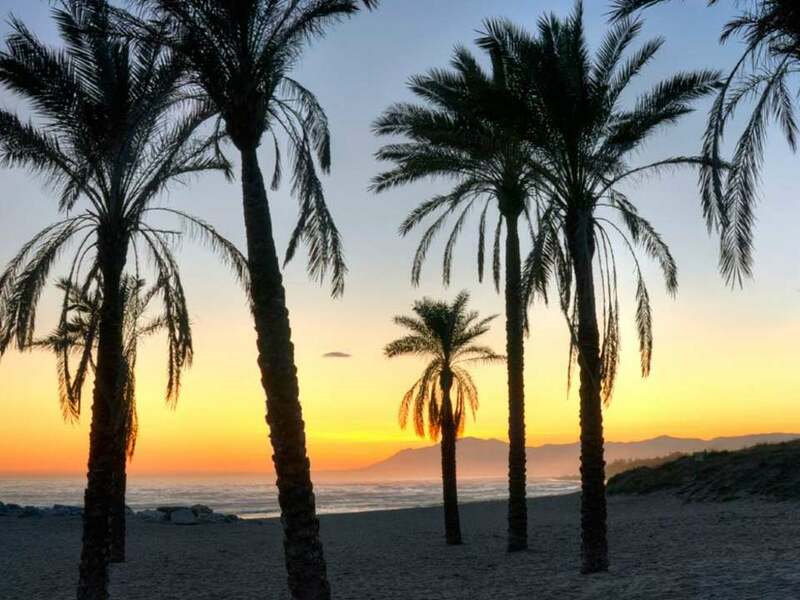 Cabopino is situated in East Marbella just 10 kilometres from the centre of town and 30 minutes from Malaga International Airport. Home to both a 9 and 18 hole golf course, a forest of pine trees that reaches down to the unspoilt sand dunes and an old fortified watch tower that stands proudly looking out towards Gibraltar and the Atlas mountains of Morocco. Its real gem however is its quaint little port; home to luxury yachts, sophisticated restaurants such as Alberts, Hermosa, Julie’s bars and Andy’s beach club. Overlooked by white washed Andaluz style apartments. Its shallow cove is the perfect environment for families or watersport enthusiasts. Cabopino has without a doubt the finest stretch of natural beach on the entire Costa del Sol. With a single road of frontline beach properties it is easy to see why this is a highly sought after location. To accommodate the demand, the new frontline beach complex of Granados de Cabopino was built in 2003. This idyllic setting just a short walk from the port has an indoor heated swimming pool, 2 outdoor pools, a fully equipped gym, 2 saunas, padel courts, tennis courts, a summer house with large terrace and 24hr security. Furthermore Cabopino is walking distance to the famous Nikki Beach club belonging to the 5 Star Don Carlos hotel and close to the Estrella del Mar beach club belonging to the 5 star Da Vinci hotel group. There are also International English, German and Spanish schools less than 10 minutes away.